Effective School Leadership: A Handbook for Aspiring and Experienced Leaders « Ignatius Ekpenyong Idio, Sr. Effective School Leadership: A Handbook for Aspiring and Experienced Leaders is about effective school leadership, what it is, what is involved, and how to attain it. The primary objective of this book is to provide a frame of reference to help school administrators function more effectively in our increasingly challenging and demanding school systems. It will serve as a handbook of skills to enable school managers to cope with both the internal and external complexities that affect the ways schools deliver instructions to guarantee student success and to ensure that no child is left behind. 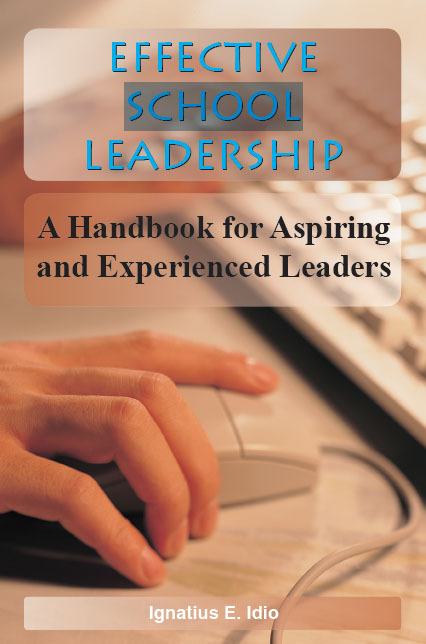 This book is therefore created for current school leaders and individuals whose aspirations include holding such positions in the future.